Errol: Oh crums. It was my mom’s birthday yesterday. Crums. I was supposed to get my girls to call. Oh… crums. 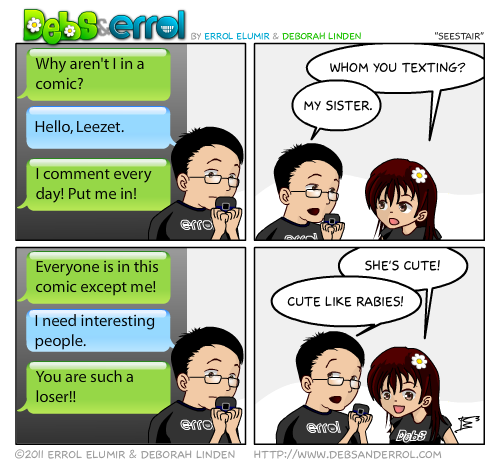 This text has nothing to do with this comic. 4. How come you didn’t blog your gig? 5. Birthdays don’t tend to matter anymore in our family after we’re 12…. We will blog! We will blog! Sheesh! Some of us work!